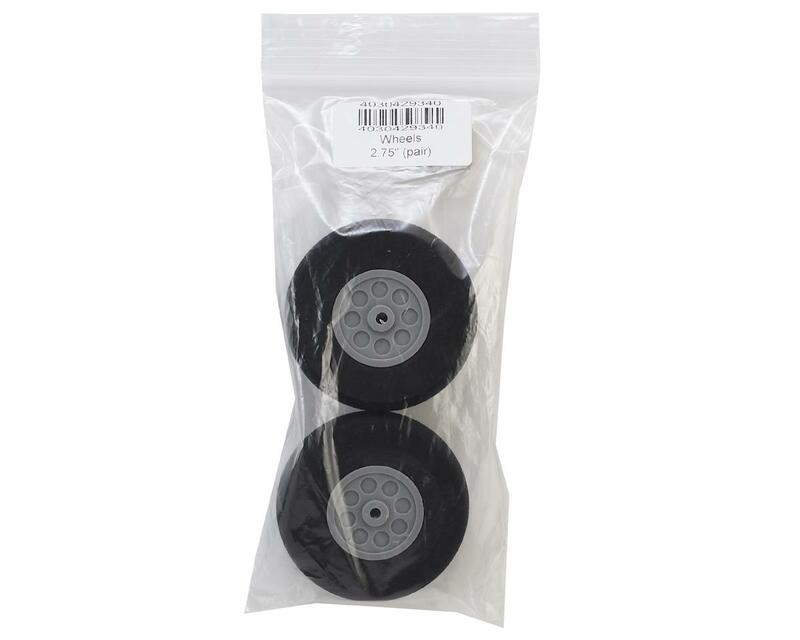 This is a pair of Flite Test 2.75" Foam Wheels. Weight is 16g for both. 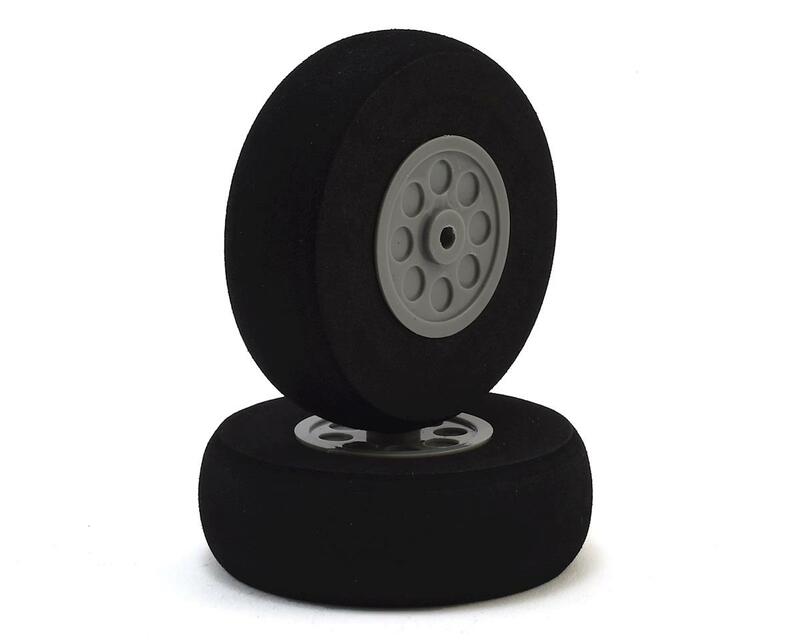 Perfect for any aircraft needing this size wheel! While the quality of the wheel looks ok the hole in the center is way too large for gauge wire used for the FT Simple Scout's landing gear making the wheel wobble a lot. I chose these wheels for my Scout as they are an option on the kit FLT-1055 so I figured they should be a good fit.